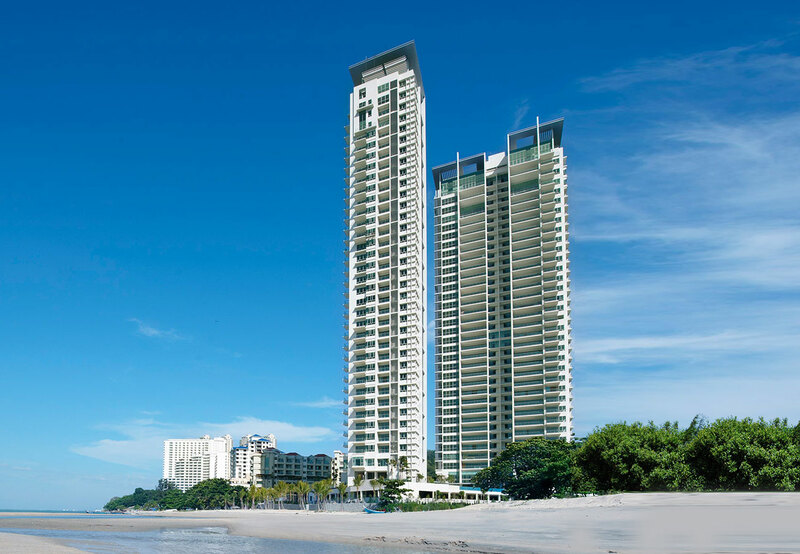 The Infinity Beachfront Condominium is an exclusive development comprising two 35 and 36- storey high-rise blocks with a total of 119 residential units. It is a low density development with only 2 units on each floor. The standard units measure 3,693 – 4,866 sq ft in size whilst the penthouses measure between 6,680 and 8,917 sq ft in size. The facilities include a swimming and wading pool, changing rooms, reading room, pool Jacuzzi, private meeting room, barbeque pits, business centre, children’s playground, function room, cabanas, gymnasium and steam bath.